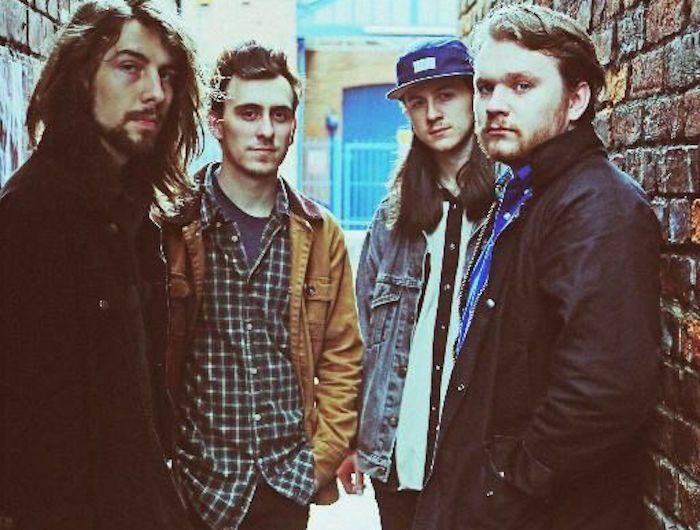 Manchester indie four-piece Antidotes drop their first single and Getintothis’ James Sullivan finds a band not afraid of a chorus. It takes about three seconds for Antidotes to set out their stall in their debut single Jigsaw, released into the world last Friday. A snare hit, a guitar jangle and we’re straight into a “woah-oh-woah-oh-oh” vocal hook. After posting a couple of demos on their Soundcloud page over the last few months, Antidotes have gone widescreen with their first proper single. It’s like 2007 all over again: a dash of Kings of Leon’s Because of the Times, The Cribs with a bit of spit and polish, and White Lies’ penchant for a rumbling verse that explodes into life. If it wasn’t so sincere it could be cloying. But there’s a lot to be said for a healthy dose of angst backed by a wall of chiming guitars, vacuum packed into a four-minute pop song, and Antidotes have arrived fully formed. Early demo Antidote had already shown their love of an 80s vocal, a Bloc Party gurgle and a chorus pedal. It also had that secret weapon that every aspiring guitar band must work towards: you can successfully sing Boston’s More Than a Feeling over the chorus. There’s an underlying theme to the three songs the band have showcased so far: hiding from the world; letting go; feeling disconnected. If Antidotes are aiming to connect up a fractured world then Jigsaw is, erm, the missing piece. It’s catchy, supremely structured, unabashed pop music.